There’s no disguising the disappointment felt by the thousands who turned up at Hampden hoping for a Motherwell win but that feeling is countered by the pride we have in the whole team at Fir Park who have delivered such a memorable season. Preparations for Scottish Cup finals do not occur often for Motherwell fans and we made the best of it. The pleasure in the planning and anticipation of our day in the May sunshine will be long remembered as the wider ‘Well community came together to celebrate the achievement. We had earned the right to play our part. Hamilton, Dundee, Hearts and Aberdeen provided top level opposition and they were put aside with the loss of only one goal as we marched on. With league safety assured and the experience of November’s League Cup final already banked supporters were entitled to raise expectations as the big day grew near. But we knew that our opponents had to have a dip if a repeat of 1991 was possible. Fair play to them, they deserved the win. The talk as we retreated after the final whistle soon turned to the wider perspective. 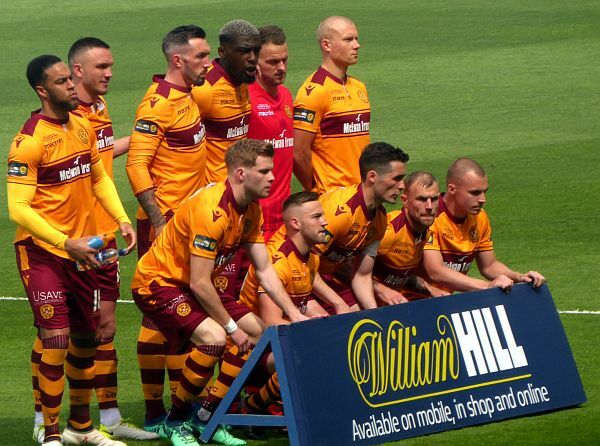 Motherwell had a terrific 2017/18 season on and off the park. The team’s achievements and the continuing work of the Well Society and the backroom staff at the club has helped to strengthen further the bond with the fan base. There will be little time spent on a final post-mortem. The initial draw for next season’s Betfred Cup will be made on Friday as the players relax on the beach. They have earned a rest – happy holidays.